I had just written about my concerns with the new Provincial budget and the propensity to tax the high income earners. While I thought this would come from the NDP, it turns out that it is coming from the Liberals. According to Mike DeJong, if you make a higher amount of income, you will pay more. He also says Doctor's can expect less income, schooling will remain flat and a number of other measures. Family friendly? West Point Grey- Kitsilano residents are the key family demographic. Of course our Premier sends her kids to private schools but most of our kids go to public schools that have Asbestos in the main hallways and are at the highest risk of collapse in a seismic event. We, as British Columbian's, must pay close attention to this budget. This is our children's futures we are talking about. This is our future. If our children are not given a proper education and are relegated to menial labour jobs, how can we expect a tax base to support our retirement? We will be at the mercy of large multinational corporations who seek our resources. So how do we do that without raising taxes? Smarter spending is part of the answer. Our children do not need smart meters or fast ferries. We do not need $15 million taxpayer funded government advertising campaign. We do not need a Carbon Tax that neither reduces carbon or invests in renewable energy. We do not need to subsidize special interest groups or business. 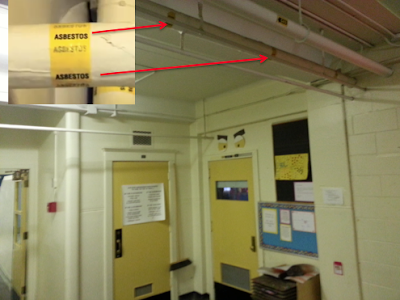 We do need asbestos free environments for our children to go to school in. Is prioritizing this too much to ask? Where do the Liberals spend too much ? Be specific please. I know you are a liberatarian, and as such would spend less, i.e. make the government smaller. I agree here. But where specifically ? Are wages of public employees to high ? Are there too many ? Which departments specifically ? Are there too many industry subsidies ? Are taxes too low or too high ? you should save your gas receipts as well as any other receipts associated with your business as a caregiver. She should be issuing a 1099 to you for what she pays you. Then you will have to file a schedule C, which is for people who are self-employed. Please check back when you get ready to file, as 2013 tax brackets easily guides you through this process and we also have tax experts available to help.